A selection of ‘speculative fiction’ short stories. I’ve never been quite sure exactly what speculative fiction is, and presumed it to be writing whatever you want regardless of what ‘the rules’ say or what is currently in fashion or an accepted genre. I think all writing should be like that anyway, so I imagined these stories would work for me; also, I’d read good reports of C S Boyack. I’ll start by saying that he’s an artful and intelligent writer with bags of talent. As is always the case with short story collections, some of them are weaker than others, and some are extremely good. My favourites were Magpies, Practical Geology and The Parade Wave, all of which are on the extremely dark and slightly comedic side, and will merit a second read. Others, such as a vampire one, didn’t interest me so much, and with some of them I felt they were lacking a denouement; I’d come to the end and think, ‘and?’. Sometimes, the dialogue was a bit information heavy and unrealistic; there are other ways of setting the scene other than have one person express to another exactly where they are and why (like they wouldn’t already know that) ~ BUT: in each one the writing is great, I couldn’t fault that, and this made them all enjoyable to read. A solid 4*; I’d definitely read more by this guy. Dr Grace Greybill, is happily taking care of terminal patients, when she is engaged to look after an old man, who seems fit and resides in a grand mansion. However, nothing is as it seems with her new patient and she finds herself taking on more than just the role of his physician. I am not a huge fantasy reader and thrillers which incorporate fantasy are rather hit or miss with me, but I found this one easy to get on board with, mainly due to the fact Chloe and Clovis’ stories were easy to get on-board with. The real leap in faith came when I was reading about Dr Greybill and the grey-haired professor who passes on his vocation to her. I found this aspect of the story more challenging but ultimately, despite some vague details, easy to meld into the story as a whole. This thriller is chilling in part and reads very much like a horror, so it kept me entertained overall, however, it felt like I was reading the prequel to a much more involved novel that is yet to come. 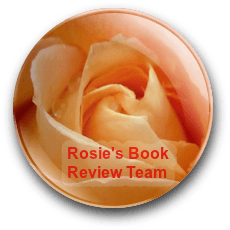 Judith has been reading and reviewing The Experimental Notebook by C.S Boyack. I enjoyed this collection of short stories and flash fiction. 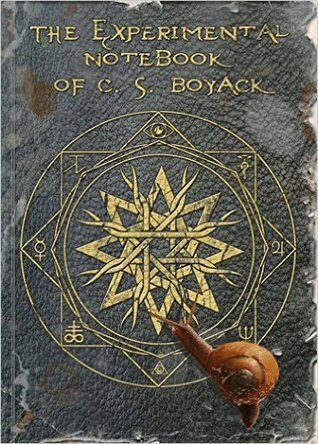 In The Experimental Notebook C. S. Boyack presents an intriguing and fascinating mix of fantasy, science fiction and ghost stories. 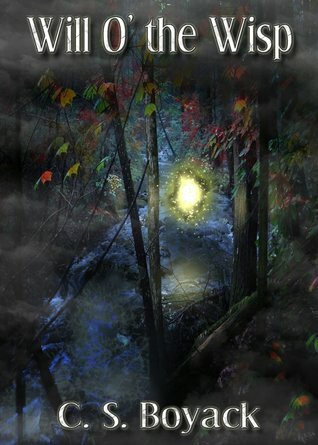 He has a unique and enjoyable writing style, juxtaposing believable characters and straightforward plots for the reader, even when fantastical. Threaded with understated humour, most of the pieces are of the ‘twist in the tail’ type; surprising yet satisfying and guaranteed to bring out a whole gamut of emotions in the reader. If I had to choose I think my favourite would be the fabled The Soup Ladle of Destiny. But there is something for everyone between the pages of this book. There is also an unusual part where the author speaks to the reader which I enjoyed and motivated me enough to look for his website. He seems to be a prolific blogger whose posts are as thought provoking as this collection of stories. So– great cover, well-written stories with rounded characters, great dialogue, a brilliant sense of place in all; to my mind, proper short stories. 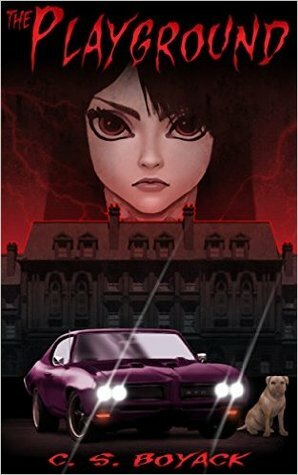 And, although these are not the genre of stories I would normally read this is one collection I would recommend. The short story is usually concerned with a single effect conveyed in only one or a few significant episodes or scenes. The form encourages economy of setting, concise narrative, and the omission of a complex plot; character is disclosed in action and dramatic encounter but is seldom fully developed. Despite its relatively limited scope, though, a short story is often judged by its ability to provide a “complete” or satisfying treatment of its characters and subject. They could be talking about any story in The Experimental Notebook of C. S. Boyack. These stories are the heirs of O. Henry and Twain and Lovecraft. They are perfect little worlds, each with its own unique twist ending. They don’t match each other or add up to a completely balanced meal. Instead they are the tapas of literature, the small plates you sample and move on. From the sentimental Mom in Jack O’Lantern, to my personal favorite, Lisa—the “concept robot with artificial intelligence and emotions software”—in Bombshell Squad, to the chillingly humorous entity in Transference, each story is pared to the bone to provide only the barest details that will build its little world, show you what’s to be found there, and then (usually) twist it all at the end. I’m delighted to give it five stars out of five. Sure, this is a short review. That’s partly because it would be an absolute crime to say anything more and spoil each story’s surprise, but also because my only complaint is that I want more! My recommendation to each of you is that you stop reading right here and download The Experimental Notebook of C. S. Boyack immediately. Each story is the perfect length to read over lunch, on the bus, in the dentist’s waiting room, standing in that grocery line that you always seem to choose the longest one of. Then, as soon as you’re done reading it, please let me know which is your favorite. I guarantee you’ll have trouble choosing. This is a most intriguing collection. Reminiscent of Poe’s ‘Tales of Mystery and Imagination’ with a hint Asimov. The genres range between science fiction, fantasy and paranormal. They are dark for the most part, which I like, but each story is highly individual. There are robots, ghosts, and a fearless little girl who lives near a forest making cabbage soup when she’s not ridding the village of monsters (The Soup Ladle of Destiny is my personal favourite, and the funniest of the stories). All the stories have a twist. Mostly these are unexpected – although you do catch the mindset of the author after reading a few. This didn’t spoil my enjoyment of the stories, though. It just made me wonder what was coming up. In the middle of the collection, the author includes an ‘intermission’, where he addresses the reader in person. I must admit that this is the first time I’ve come across such an approach. 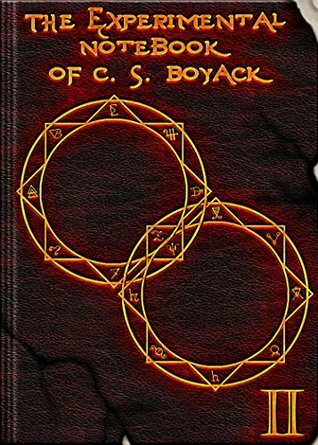 But C. S. Boyack (Craig – if you visit his Amazon Author Page) has an engaging style, and I find the personal touch here adds to my enjoyment of the stories. It made me click on his author page! There is an excerpt from one of his YA novels (Will O’ the Wisp) at the end of the collection. I read this too. Another charismatic set of characters and a glimpse of an intriguing plot. I recommend this author. He’s a real spinner of yarns. Okay, let’s try this. Patty Hall is a fifteen-year-old high school freshman in the mid-1970s. She and her two best friends are the outcasts at Burkeford High. Laura was the tallest girl in their junior high, while Petey (“Just Pete now. We’re in high school and it’s time to grow up”) is one of the few black students at their Virginia high school. Patty herself has worn leg braces all her life, leading to the nickname Quacking Boot. Like any coming-of-age story, Patty has conflicts with her mother over the braces—and of course, just about everything else in her life. She taunts her stepfather Rick with “I’ll bet my dad would’ve helped me out.” Her brother can’t help because he’s fighting in Viet Nam. Her two friends are moving away from her socially, with dates for the Homecoming dance. So she dreams of becoming an astronaut, freed from weak legs in the weightlessness of space—even though she realizes that all the astronauts were products of military schools that don’t accept women. But this isn’t just a tale of angst-ridden teens overcoming handicaps and prejudice. When Patty and Pete stumble on a group of college students partying in the woods, they’re horrified to see one of them attacked by a glowing ball of light. As more deaths target her family, Patty’s search for information about the weird light becomes tied to her research into local and family history for the freshman report, her high school’s critical first-year assignment. She learns that her family has always seen the strange lights, which they call Will O’ the Wisp. She also starts to put together the untimely and unusual deaths of her father and almost all of his family back to Reverend Jonathan Hall, an early settler from more than three hundred years earlier. But Patty’s research becomes much more urgent when she realizes that she, her family, and her friends are also targets. So far, all of that—glowing orbs of light, infected victims coughing up gallons of mucus, victims drowning on dry land—sounds like tales you’d tell around a campfire to scare your friends. But that’s where author C. S. Boyack changes the equation. He takes the Judy Blume-meets-Stephen King mashup and turns each trope upside down. Hero’s journey? Most interesting to me is the way Patty does a lot of this in reverse—she fights most of her battles in her own hometown, and with her own internal resources. That’s not to say that there isn’t one HELL of a fight against the Big Bad. But leave it to author Boyack to make that all about the seventies. I don’t know if those who haven’t lived through that decade could possibly enjoy Will O’ the Wisp as much as I did, but I have to say that I can remember our first microwave. We thought we were The Jetsons, and didn’t realize that we were dedicating a disproportionate share of countertop real estate to something that really wasn’t going to excel at much more than reheating coffee for at least another twenty years. I absolutely loved it that the witch’s spell was reheated in the microwave, and that Patty’s “skyclad” invocation was the Mashed Potato and the Swim danced to her transistor radio. Ghost Story? Oh, trust me—it’s good. But [curse you, spoilers!] you’ll have to get that part yourself. If it was just the ghost story, I’d give this three stars for chills and some good suspense. But the way Patty grows over the short term of the story from a typical, whiny, self-centered teen to a… [damn! Not again..] I-can’t-tell-you-what-but-I-loved-it!, combined with the lovely touches that were so perfectly mid-1970s, makes this a five star read for me. If you like coming-of-age YA, or know a reader who appreciates a good ghost story, I wouldn’t hesitate to recommend Will O’ the Wisp. The following books made it to Fleet Life magazine this month. For the online edition go to http://www.fleetlife.org.uk load the online directory and turn to page 28.